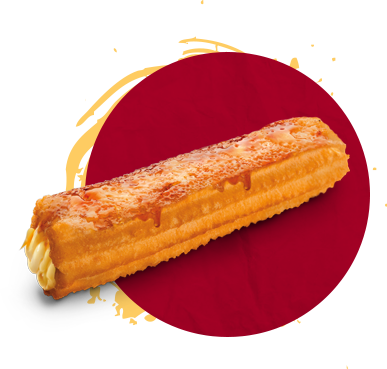 Our Sweet range of fresh and delicious Churros and Bombons is an Australia favourite. Made with love our sweet range churros are made fresh every day, so you can be sure you are eating the sweetest churro every-time. Yum! 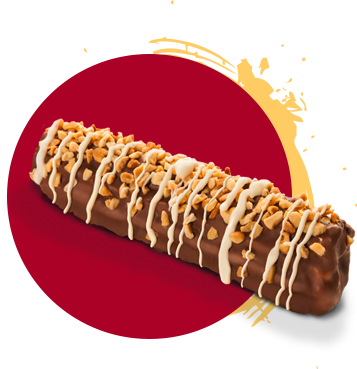 Coated in milk chocolate and peanut sprinkles with a gooey peanut butter filling this is one of our most popular bombons. May contain traces of nuts! 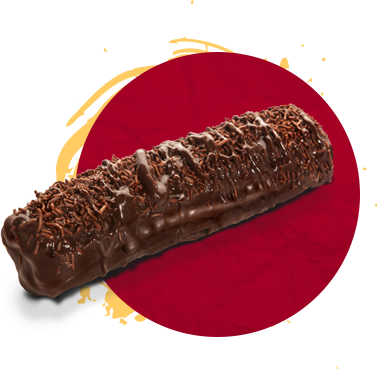 If you're not game enough to try the Triple Choc Bombon then perhaps get your tastes buds moving with the double choc bombon instead. 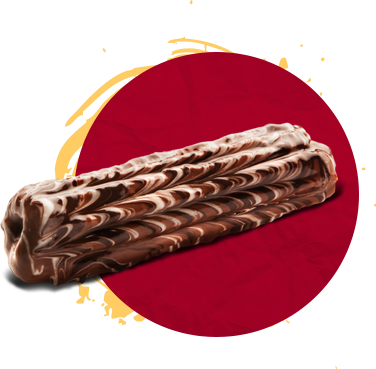 Our triple chock bombon is a melt in your mouth fusion of chocolate, chocolate and more chocolate. 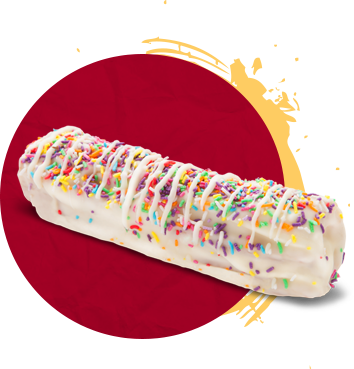 Filled with a gooey chocolate centre with milk chocolate and chocolate sprinkle coverings. There is more chocolate in this bombon than you can poke a churro at. 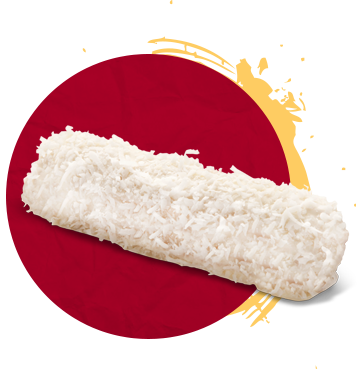 Coated in a mouth watering white chocolate with a layer of coconut and a jam filled centre. The Salted Caramel Brulée Bombon is glazed in a rich salted caramel sauce with a mouth watering custard filling topped with a torched white sugar for that crunchy bite every time. Whipped Cream, Caramel and Salt. With a torched white sugar finish. Our Strawberries and Cream bombon uses our secret spanish whipped cream with fresh slices of locally produced strawberries finished with icing sugar and a white chocolate sauce. 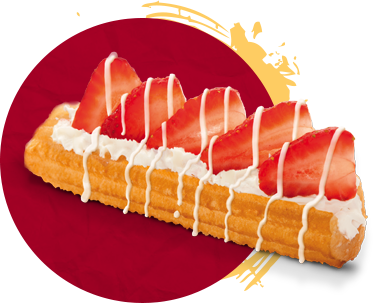 Just like all our churros our strawberries are served fresh daily. 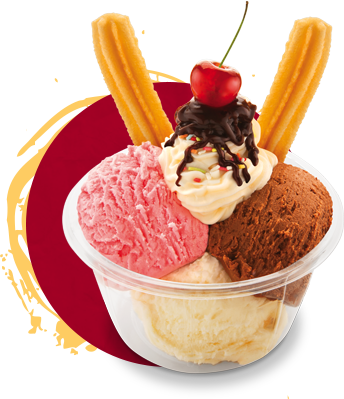 Our Churro Sundae is the perfect after dinner dessert and comes with scoops of ice-cream served with fresh original churros. This sundae is made fresh to order.